curated by Elizabeth Saperstein, Horizon Variations is an exhibition of conceptual photographs inspired by the impact of decay, disaster and discovery on the natural environment. Working at the intersection of sculpture and photography, the artists use photography as a way to explore the philosophical side of occurrences in nature, such as the force of a hurricane, the extinction of a species, or the weathering of rock formations over time. By building scenarios from scratch, studying them, and photographing the results, the artists go beyond traditional landscape photography. Contemporary compositional methods such as sampling, altering and serial numbering are used in combination with commonplace materials. The pristine and eerily calm digital photographs – black and white, monochromatic, and/or color-blocked – are achieved through a variety of techniques. Outdoor Installation at the future site of CAMBA Gardens, a joint affordable housing venture between CAMBA Inc. and Kings County Hospital Center. 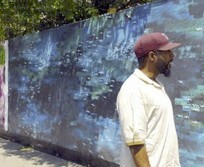 With this ab2 project, ArtBridge brings work by seven local emerging artists featured in installations past, covering 151 linear feet along Clarkson and Albany Avenues in East Flatbush with their art. 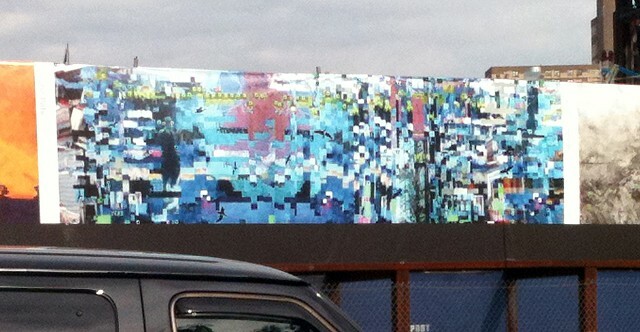 "Yard Birds" is featured in outdoor installation around the perimeter of the Atlantic Yards Development, The Barclay Center. The installation was organized by ArtBridge and curated by Vik Muniz, Amani Olu, Eugenie Tsai. Curated by ArtBridge Director, Jordana Zeldin, The Nature features work by five artists who, through their work, are addressing and in some cases, replicating, the relationship between “civilized” society and the natural world around us. Outdoor installation on 23rd Street side of historic Chelsea Building, London Terrace Gardens. Competition curated by Lorna Simpson, Victoria Anstead, David van der Leer, Charles Renfro, Chris Northrup, Gisue Hariri, Fredric M. Bell. Not to be over-shadowed, photography also played a part in AGAST. 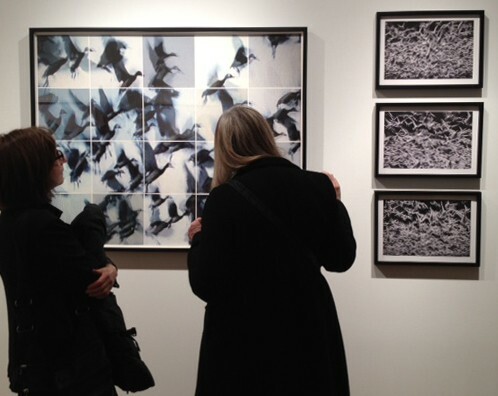 Cecilia Schmidt’s exhibit of bird watching looks like anything but bird watching from afar. Schmidt, a digital media photographer, takes photographs of nature to show its raw beauty. One image in particular was a still-shot from a series of birds that she put in a grid with an addition of pixels to enhance the digital elements while maintaining a brush-stroked appearance. Photographs that look exactly like paintings when stilled. Wings looked like the bodies, some bodies looked like the wings, and Schmidt’s photograph stood out.